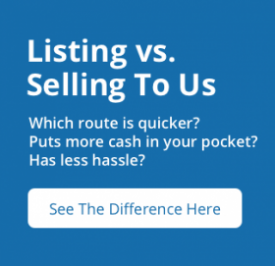 So, you are asking yourself – what is the best way for me to sell my house? I need to sell my house quickly and for as much money as possible. My house needs some work, I’m not sure how it will do if someone does an inspection, I don’t want to pay 6% to Realtors, I don’t want a lot of people coming through my house, and on and on… I just want to sell my house now! Sound familiar? Well, what are my options for selling my house quickly? 1. You can use a Realtor. This is a popular option but here are some of the drawbacks. When you list your house on the MLS with a Realtor – you will be paying 5 or 6% of the selling price to these Realtors. 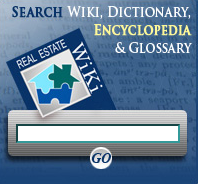 Granted you may get a higher price than the price that an investor may offer, but once you pay the Realtor commissions, closing costs, concessions to the buyer plus fixing all the items that come up on the inspection report – you just might find that the price that the investor offers, is not that bad after all – not to mention that you wouldn’t have to go through all of the hoopla that you’ll have to go through when you sell with a Realtor. Oh, I forgot to mention that you’ll have to keep your house sparkling clean because you never know when someone will want to walk through your house to see it. 2. Sell your house on your own – for sale by owner. It’s an option but you will have to deal with all aspects of the sale from marketing the house – you will have to let people know that your house is for sale and a sign in the yard usually won’t cut it – you will only get people that drive by the house. You will have to take care of all the contracts, addendums, negotiations, arrangements with the title company and everything else involved with selling a house. You are pretty much on your own. 3. You can sell to a national home buying company like Offerpad or We buy ugly houses. You must keep in mind that when you get involved with these national companies, you are now dealing with a corporate environment. The person that comes to your house to negotiate the deal does Not make the final decisions. He must run everything through corporate to get their approval. Some person in some other state will be making the final decision on whether to buy your house or not? Talking about uncertainty? They will also do inspections, you will have to pay their service fees, pay other miscellaneous costs they may tack on, and pay your own closing costs! Offerpad says right there on their website ‘Our service fee is typically 7% but can vary, depending on your specific property, from 6 to 10% ‘. With Pinellas Cash Buyers, you pay 0% in fees or charges, plus we pay all closing costs. 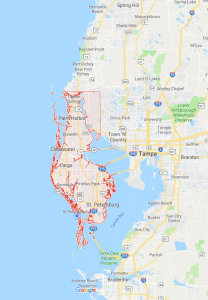 So, Why Us – Pinellas Cash Buyers? First, we are ‘local’ cash buyers. We live and own homes in the same county that you live in. You will be dealing with me and my partners, not some guy out of a corporate office in another state. We have completed over 350 transactions and counting. With us, once we have talked on the phone and discussed numerous items about your property and we have decided that it may be a good fit for the both of us, then and only then will we come out to your house for a visit. We don’t want to waste your time or ours. We will make you an offer only after we have seen your house. I really don’t know how anyone can make a legitimate offer on a house that they have never seen? That doesn’t make any sense to us? So, if you get an online offer from someone or some national company that has never seen your house, beware! That offer is not for real and I can assure you that there are small hidden words somewhere, and that once they do visit your house, that offer price will change. They will provide you false hope and that is not what you need when trying to sell your house. With Pinellas Cash Buyers, we will close when you want to close, and we will never pressure you for any sort of time-frame. (That will happen to you if you sell through a Realtor) The only inspection we do is when we walk through your house when we come out to see it. Plus, we will pay all your closing costs! We use local title companies for everything we do, whom will be in contact with you once we are under contract. 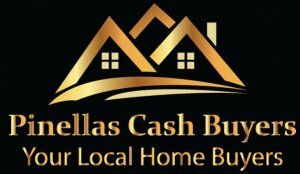 I have listed 15 Advantages of using Pinellas Cash Buyers on the ‘Our Company’ page on this website. Please take a moment to look those over. Please also visit our Home page and our Testimonials page to watch the video testimonials that I have received. I can assure you, that if you give us the opportunity to talk and meet with you, that you will be very pleased in all aspects of our transaction. 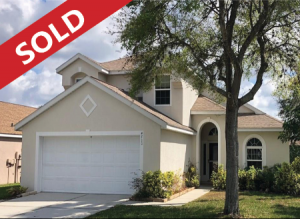 Our transactions will happen exactly as we tell you they will, there will never be ‘any surprises’ when you work with Pinellas Cash Buyers. I hope that this article will help you while you are deciding ‘how should I sell my house’? I Thank you for reading this and we look forward to hearing from you soon. Please call me anytime at 727-202-2770 to discuss any of your Real Estate needs. P.S. We also buy Multi-Family Properties, Apartment Complexes, Land and Condos. Please contact us if you should have any of these for sale. Thanks!